Alright guy, so you nailed the first date. Miniature golf went over surprisingly well, she loved the bottle of wine you bought, and somehow despite your shaky hands and grumbling stomach you locked down a good night kiss. Nice work. You deserve a high five. Now how do you go about asking her on a second date? Will a phone call do? How long do you have to wait? Want to send her flowers to let her know you had a great time? Good for you. But before you go and send her a dozen roses, think for a minute. Are you going to scare her off? Flowers are a definite way to get her attention after the first date, but don't go overboard. Odds are if you feel like you're trying too hard, you probably are. Here are three tips for how to send flowers after the first date. You've only been on one date, so don't go and spend your life savings on flowers. 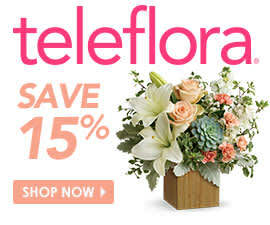 Find a simple and reasonably priced bouquet. Spending too much money can potentially make her feel that you're too invested and scare her away. Remember that not everyone is comfortable having other people spend money on them. And while a dozen red roses seem like the classic bouquet to send, hold off, as many people associate these flowers with deep feelings of love and passion. Send something basic, vibrant and colorful that will grab her attention without making her feel smothered. Attach a note to your flowers with a short, straightforward message. Keep it lighthearted. Let her know you had a good time the other night, but don't start throwing out buzzwords like "soul mate" or "destiny." The gesture of sending flowers already makes your intentions clear, so brevity is encouraged. Tell her you enjoyed the first date and want to see her again and leave it at that. Remember that one date is not that big of a commitment. Sure you want to see her again, but if you send flowers to her workplace all of her colleagues will likely ask her who sent them. This puts her in the uncomfortable position of having to field questions about you while she is in a professional setting. Save this move for when you've taken her on another five or 10 dates.